A larger space with lots of windows has beckoned the organizational needs of AmadorArts. Not only that, but Meghan O’Keefe, Executive Director, says that in Jackson they will be closer to city and county governments, the school district, the newspaper, the radio station, and others with whom the non-profit conducts on-going business. 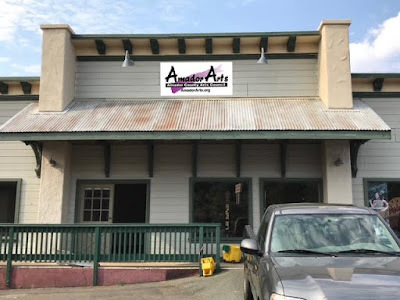 The move from a tiny spot in Sutter Creek to the Mother Lode Plaza at 617 South Highway 49 will equate to more small events, meeting space, a safe and creative free place for student artists, and wall grids showcasing the latest art made by local youth in their schools. 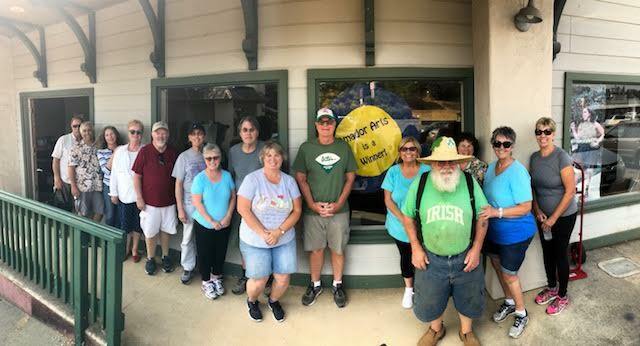 Situated in the back corner next to the Highway House Banquet Room, there will be plenty of free parking for visitors in the huge lot of the Mother Lode Plaza. O’Keefe acknowledges the generosity of Stan Lukowicz in helping AmadorArts achieve its many community goals. 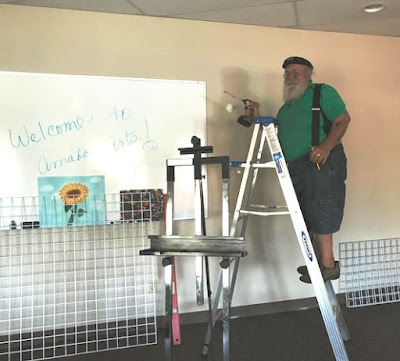 On a recent Friday, a large crew of volunteers helped move the office equipment and furniture into the space, and others have been on ladders transforming the spacious interior into a working arts center. If you have any art supplies to donate for the drop-in studio for school-age kids, call AmadorArts. The phone and email stays the same: 209-267-9038, amadorarts@gmail.com. At least for now, the mailing address also remains at P.O. Box 206, Sutter Creek 95685. A Grand Opening is scheduled to be during the annual Holiday Mixer, always on the first Thursday of December, or Dec. 6. The Jackson office is now open to the public. The new hours of AmadorArts are to be open five days, Mondays through Fridays, 10 am to 2 pm, however, on Mon. and Fri. the office will close at noon.